Summary: Asano, who works part-time at a pub, is one day confessed to by a hot, antisocial coworker, Kakei. However, even after his confession, Kakei doesn’t make any climactic moves, so Asano decides to take the initiative. 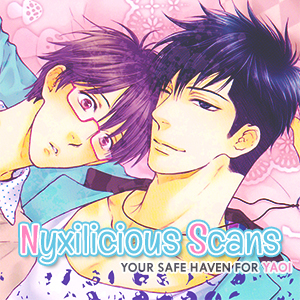 This is a joint project with Indigo Scanlations. Thank you everyone for your hard work! One of my favorite series, look forward to all your high quality scans in the future! I hope to see more of this!! This is such a cute story.